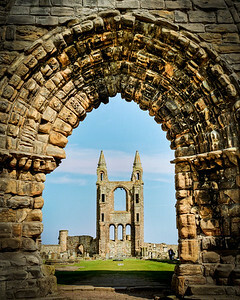 Photographic images of the east coast of Scotland, including the Royal Mile, Edinburgh Castle, St. Andrew's, and the Fraserburgh lighthouses. 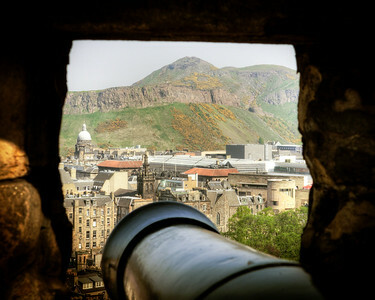 One day I might actually take the trouble tomblike up Arthur's Seat, but up to now i've had to make do with views such as this, take from one of the cannon portals at Edinburgh Castle, Scotland, 2012. 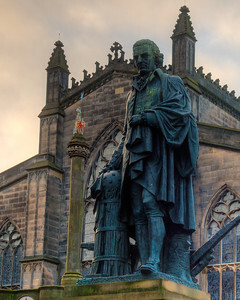 The North Sea coast of Scotland, and England for that matter, is a rugged one. With a very large tidal range it results in some very interesting natural and man-made coastal infrastructure. Such is the case in St. Andrew's where the impacts of the wide reach of the waves on the coastal cliffs are seen. 2012. It was cold up here....So cold. 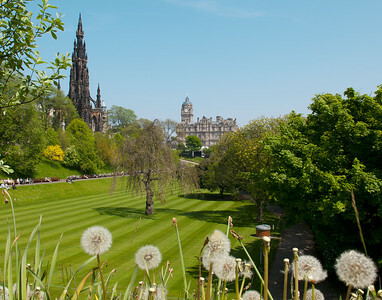 And I actually crept around an otherwise no-go area to get into position for this shot. 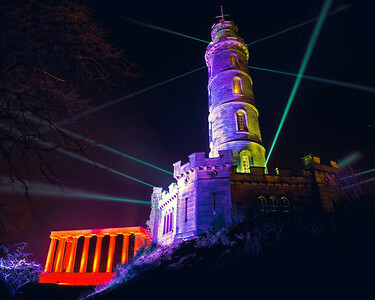 Calton Hill, looking out over Edinburgh from the east is always lit up at night like this in the winter, but i loved the way the search lights swept across the skyline, and i felt lucky to get this particular shot, December 2014, Scotland. 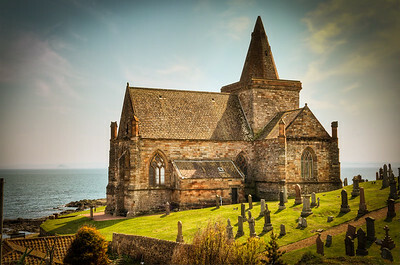 This is Sr. Monan's Church, in the idyllic Fife coast village of East Neuk, Scotland, 2012. 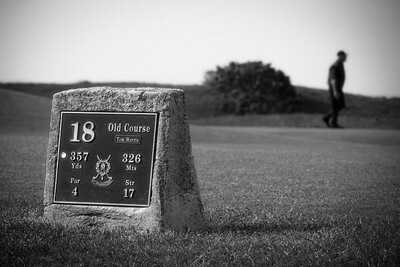 I very nearly got this shot with a player in mid-swing on this, the 18t tee at St. Andrew's, Scotland. I lament that there were few technical issues with that shot and didn't want to share it. 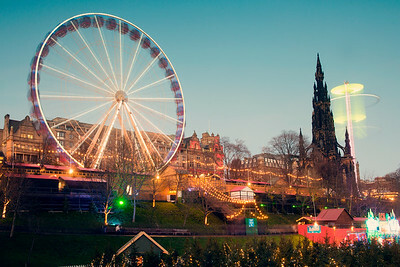 This instead. 2012. 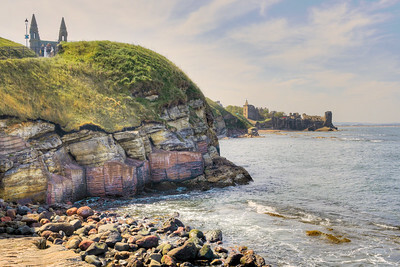 A panoramic view of St Monan's Church, a magical little village tucked away on the Fife coast, in the east of Scotland. 2012. 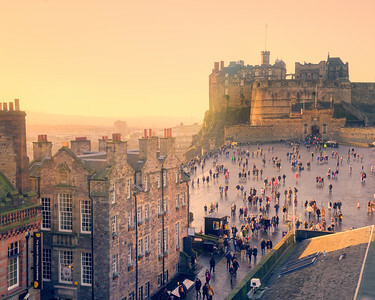 Taken from the roof of Camera Obscura, this is a view of the famous Edinburgh Castle, at the head of the Royal Mile. Sunset on a very cold day at Christmas in 2014. Love taking shots of random, obscure, doorways. 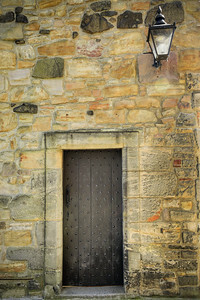 This studded example in Edinburgh Castle made me wonder what may have been hidden behind it in less hospitable times. May, 2012. 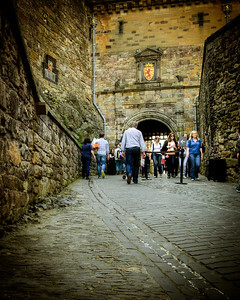 This is the Portcullis guarding the entrance to Edinburgh Castle. Difficult to get a shot of this without the mass of tourists, but then, I was a tourist myself. 2014. 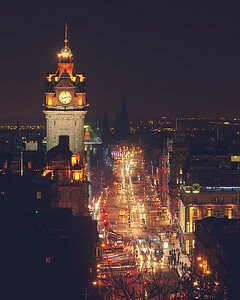 The famous Royal Mile, in the city centre of Edinburgh, leading down from the castle at the top of the hill. 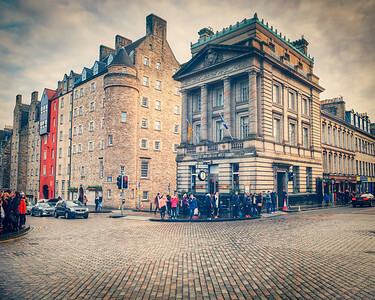 This part of the cities very popular with tourists, with its cobbled streets and vibrant fringe festival acts. 2014. 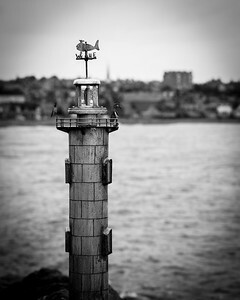 Not sure if this is a miniature lighthouse or just a tribute to the lighthouse system. This was seen at Stonehaven, looking out over the North Sea, just south of Aberdeen. 2017. 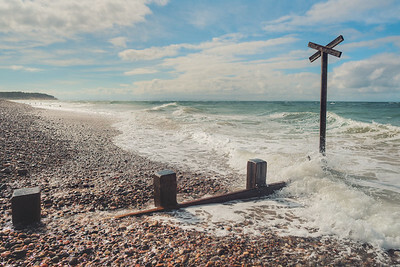 Just west of the Findhorn outfall into the North Sea, this shot was taken on a very windy day during a high tide in Morayshire, Scotland, 2017. 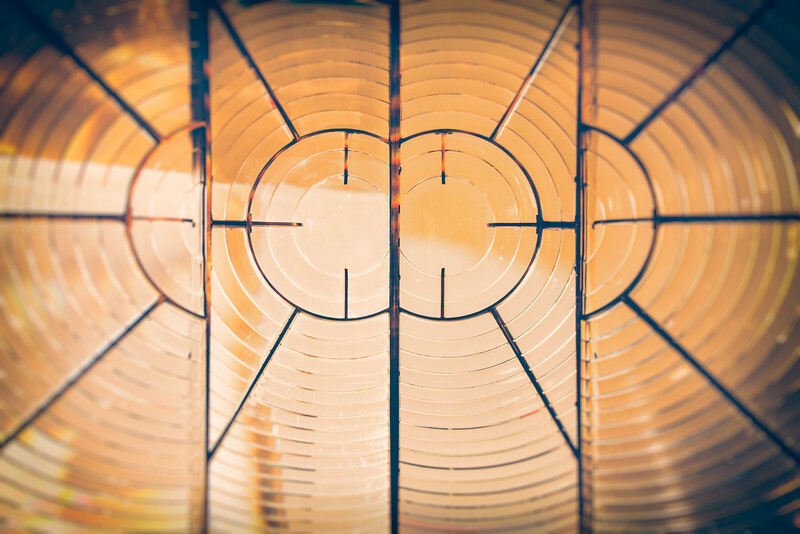 A close up shot of the lens of a lighthouse beacon, taken in the Lighthouse Museum in Fraserburgh Scotland, 2017. Very informative establish, and I didn't know that every mirror / lens was different for every lighthouse. 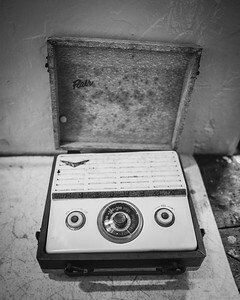 A radio artefact in the Lighthouse museum in Fraserbrough, on Scotland's north east coast. 2017. 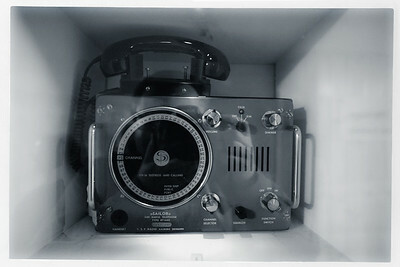 Another old artifact on display in the Fraserburgh Lighthouse, and another radio. For this one I added a black and white, and matte finish, to add to the small depth of field shot. 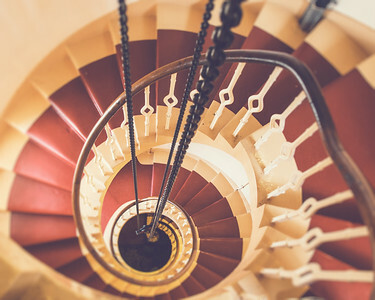 2017.
Who doesn't like a shot of a spiral staircase - this rather tight example was seen in the tower of the, now decommissioned, Fraserburgh Lighthouse, which once provided coastal protection over a portion of Scotland's north east coast, 2017. 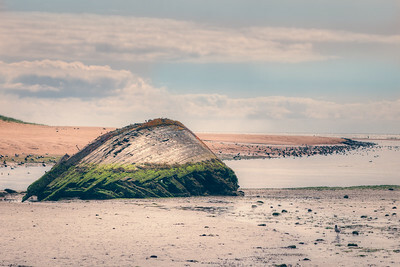 Another place in Scotland that I wasn't aware of - Newburgh Beach, on the north east near Fraserburgh, which was home to an interesting seal habitat and a rotting old boat hull. 2017. A panoramic view of the seal beach and inlet at Newburgh, on Scotland's north east coast between Aberdeen and Fraserburgh. 2017. My sister had told me that was a lovely sandy beach here, but when we got here the tide was in and all there was to play on where these less than pleasant pebbles. 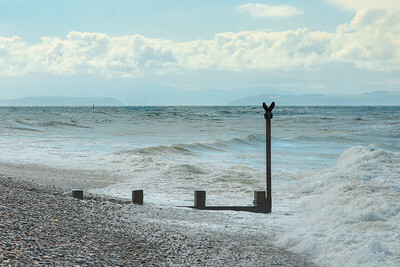 Findhorn beach, looking out across the North Sea. 2017. 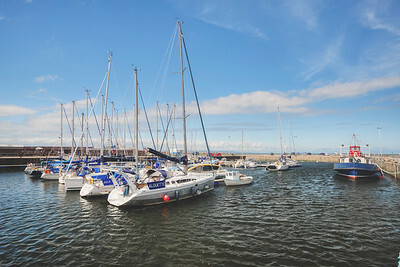 This is Nairn Harbour, sitting on the north Moray coast of Scotland, between Aberdeen and Inverness. 2017. 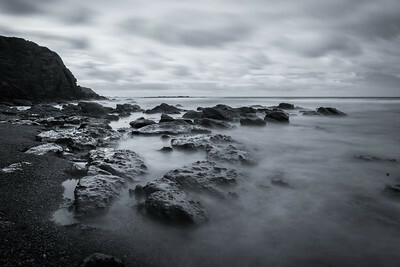 This is a 30 second long exposure, using a 10-stop filter, of the sea washing over the rocks on the beach of Pennan; a quiet little corner on the north coast of Scotland, just west of Fraserburgh. Made famous by the film 'Local Hero'. 2017. 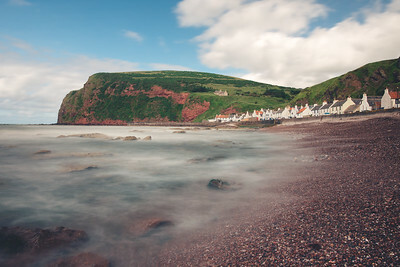 The somewhat famous little village of Pennan, perhaps better known as Ferness, which was the fictional village in the 1980's classic movie 'Local Hero'. This was a film about an American from Houston, that fell in love with Scotland. 2017. 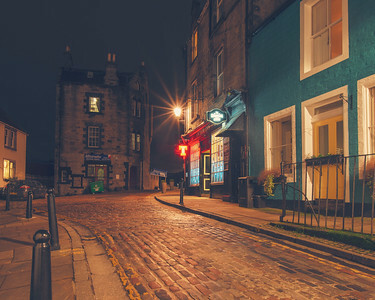 Got some amount of grief from the "patrons" of this South Queensferry pub as I Iined up this long exposure; all part of the game I guess. 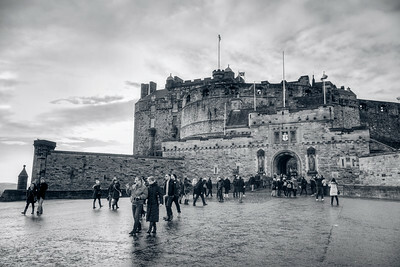 Scotland, 2018.